← Avengers Infinity War: Avengers Assemble! 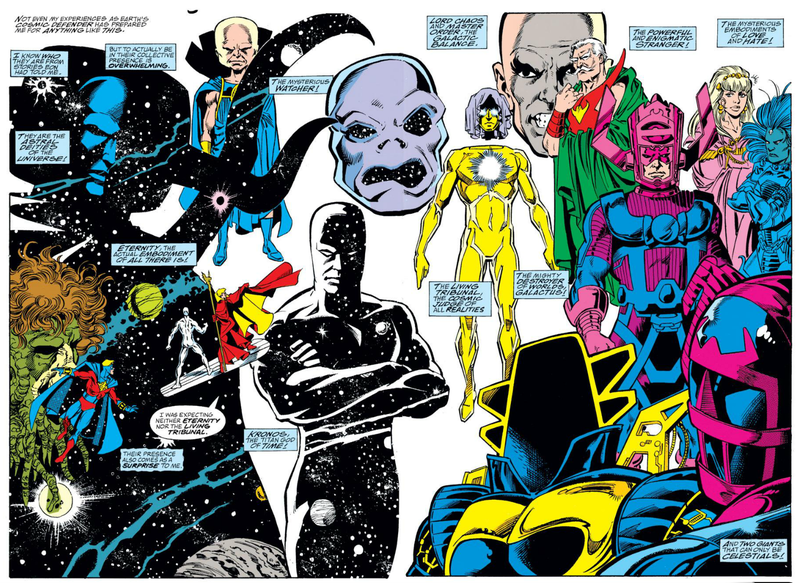 Posted on April 25, 2018, in Best Of Longbox Graveyard and tagged Avengers, Avengers Infinity War, Cosmic, Cosmic Cube, George Perez, Infinity Gauntlet, Infinity Gems, Jim Starlin, Marvel Comics, Marvel Studios, Thanos, Warlock. Bookmark the permalink. 7 Comments. Great update to a classic Longbox Graveyard post, Paul! 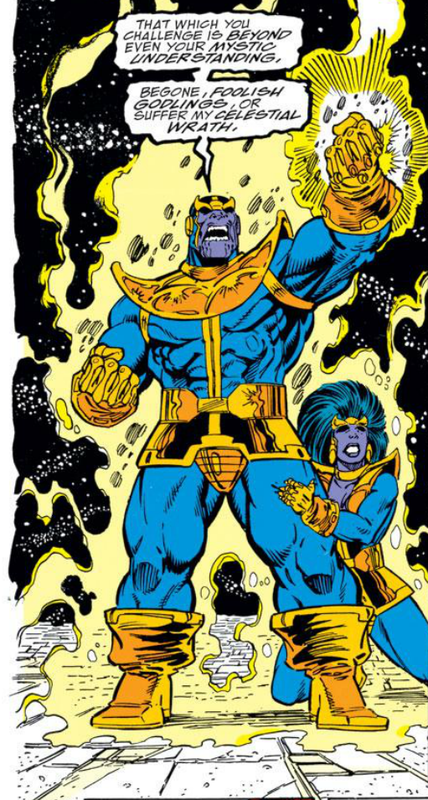 It’s hard to believe six years have passed since we were pumping our blog stats with Thanos posts after the first Avengers movie. “Tomb & Garden” still cracks me up–thanks for the laugh, and I bet you could market that magazine to goths if you’re looking for another income stream. 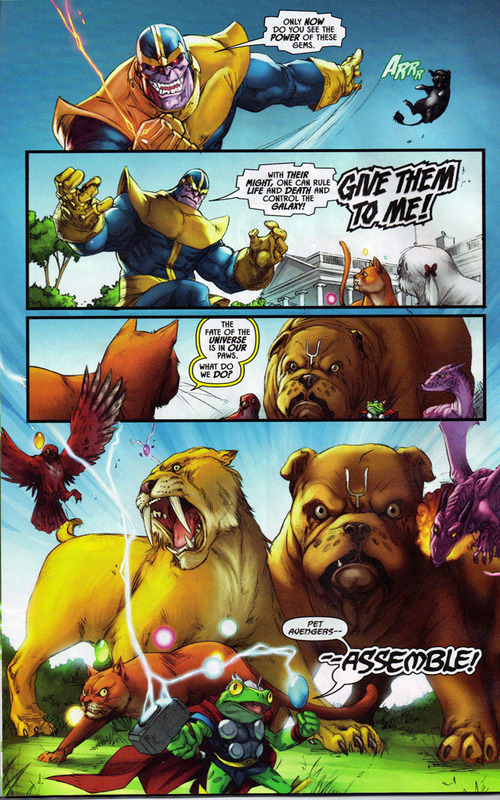 I want to join you in scoffing at Pet Avengers, but Zabu and Red Wing look so dang awesome on your sample page! The world may not be ready for an “Age of Reptiles” style graphic novel about smilodons, but I’d buy that in a heartbeat. Thanks for the link, Mars, excellent interview, and full of all sorts of tidbits I had taken for granted (like the story that the name, Thanos, isn’t misspelled after all). Six years, man … you are right. And six years from now I’ll probably be doing it all over again. I recently re-wrote the very first article I published here (back in 2011). It will be republished shortly, in substantially unchanged form. Mostly I just refreshed links and changed tense here and there. But even seven years ago, my world was a different place. 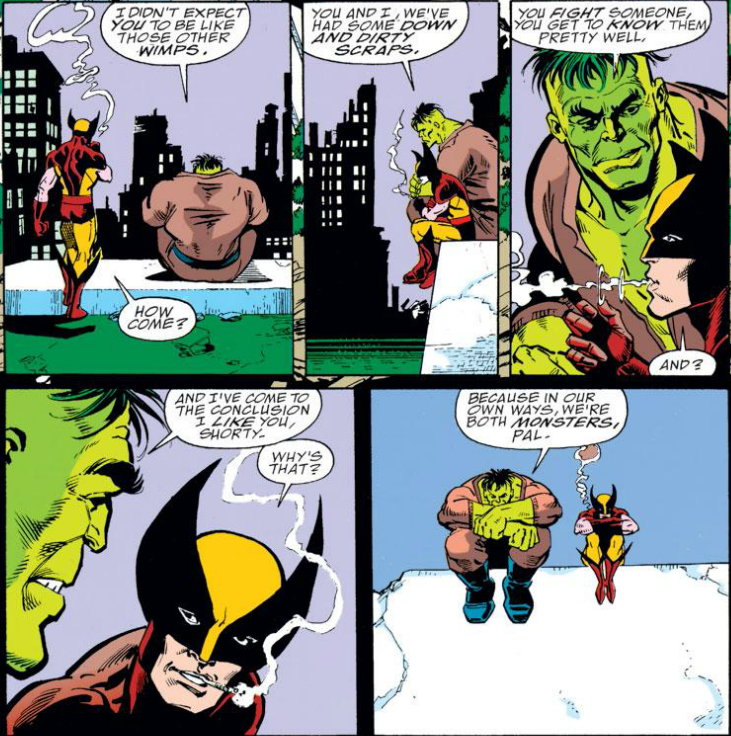 My boys were still boys (they’ve both kinda-sorta left home now), and the whole Longbox Graveyard project was still ahead of me. All the books I’ve sold and organized, all the awesome people I’ve met (and among the very earliest, kind words from a certain Mars Will Send No More). It’s been a ride. And it is increasingly evident there will be comic book movies long after I am gone! Not sure how I feel about that … on some level, I hold to the irrational feeling this is all some private, geekly passion play just for me. 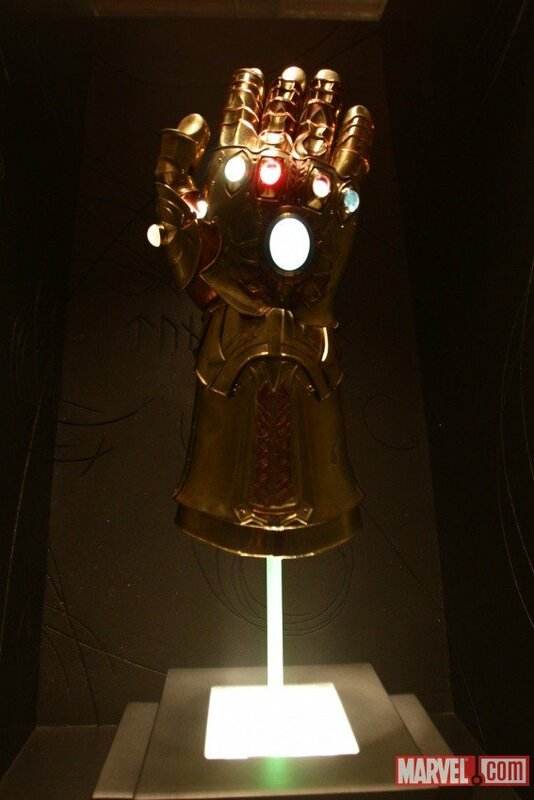 Thanos on a movie screen is still mind-blowing for me. Couldn’t imagine it when I was twelve, can’t much better imagine it today. Yet here we are. It is fair to say that without Starlin I likely would not have stuck with comics … but I always regarded his work as my private, tween-age obsession. That a worldwide movie audience is caught up in this still blows my mind. 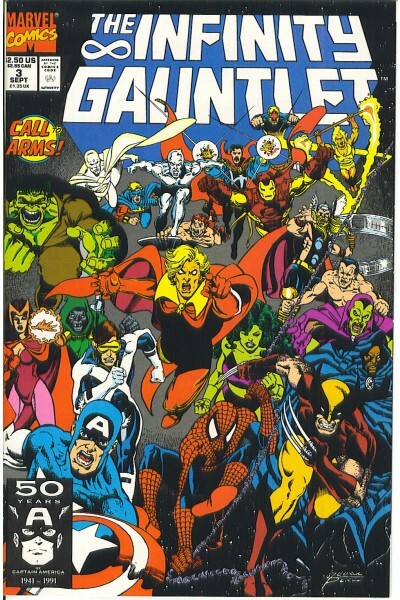 My own personal obsession would with the Thanos Cosmic Cube saga in the pages of the one and only Captain Marvel! I forgot all about Terraxia. You had me rolling on the floor with laughter. Oprah cosplaying Thanos. Hilarious! 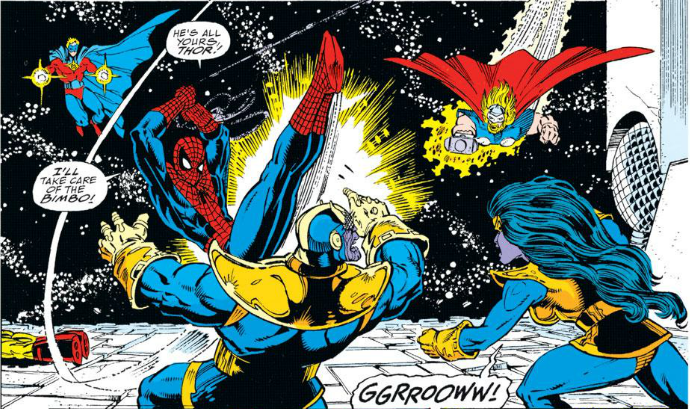 It is more than a bit odd, to me at least, that Marvel Studios has spent nearly a decade, and several different movies, building up to an incredibly gigantic battle between the Avengers and Thanos in the upcoming Infinity War movie, when in the actual comic books whenever Thanos showed up the Avengers typically ended up playing second fiddle to either Captain Mar-Vell or Adam Warlock. 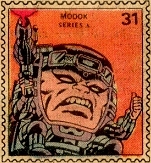 This became especially egregious in the early 1990s in the Infinity Gauntlet / War / Crusade trilogy where Jim Starlin treated the Avengers (and pretty much every other superhero) as clueless cannon fodder that Adam Warlock used to distract Thanos, Magus and/or the Goddess while he carried out his latest especially clever master plan that only he was smart enough to come up with, because everyone else in any Starlin-written series from that decade is depicted as a moron. 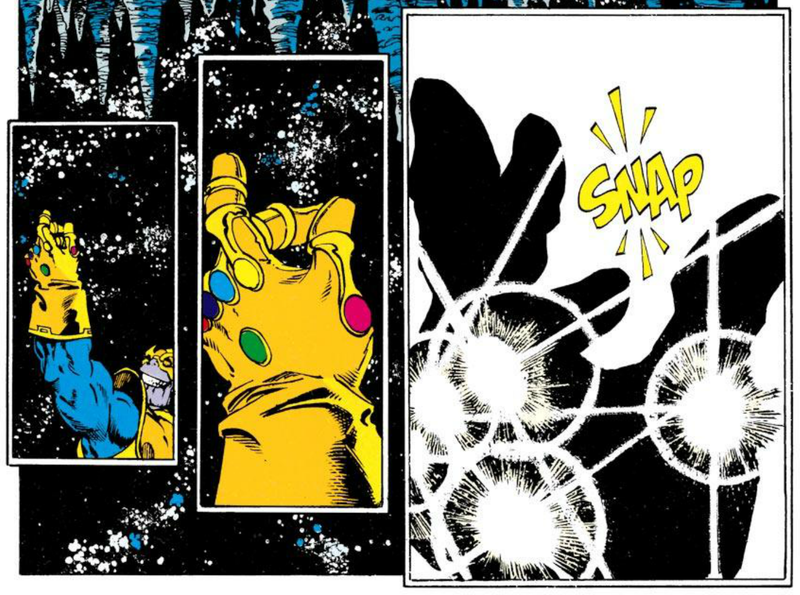 Okay, this wasn’t quite as pronounced here in this first miniseries, Infinity Gauntlet, but in both War and Crusade it was incredibly blatant. 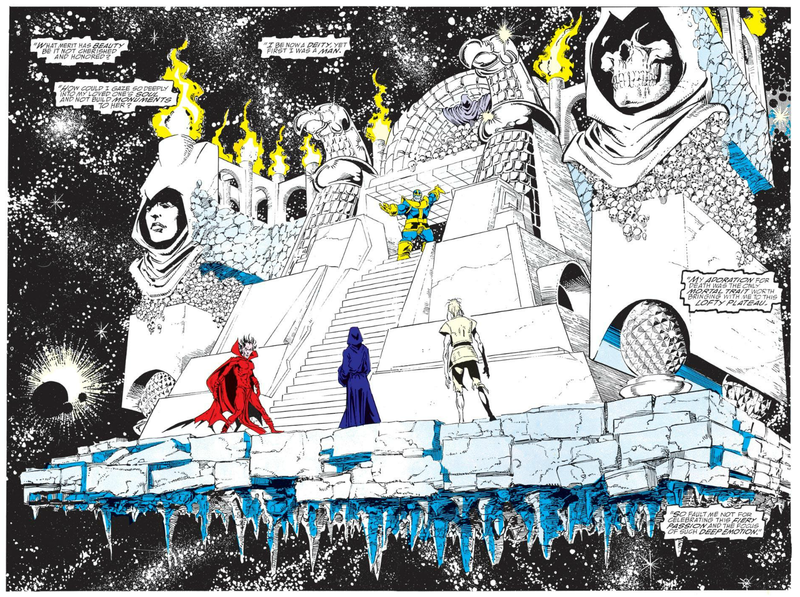 In my opinion the best Adam Warlock and Thanos stories by Starlin are the ones where they are off in their own corner of the Marvel universe, and the events are unconnected to any other series. 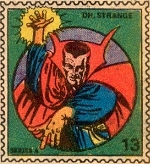 I really think that Starlin just wants to be left in peace to write Warlock and Thanos. 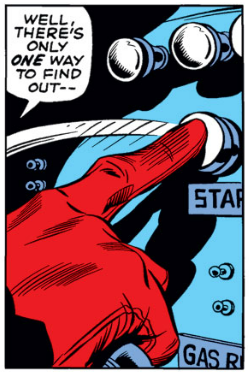 Unfortunately commercial considerations have often required him to shoehorn in the Avengers, FF, X-Men, etc, and each time that happens he seems terribly unenthusiastic about having to use those characters.